Please see the information and links below for all of the information you would need for a visit to ZSL Whipsnade Zoo. Use this PowerPoint presentation to help you prepare your class for their visit to ZSL Whipsnade Zoo. Please see our complete guide on finding your way to the Zoo by public transport. Whether you're coming by bus, train or car, this page has all the information you need. Coaches can park for free in the ZSL Whipsnade Zoo car park, subject to available space. Coaches are not able to enter ZSL Whipsnade Zoo, however a free Safari Bus provides transport once visitors are inside the Park. Our activity sheets to help pupils to make the most of their time in the Zoo. These sheets are designed to encourage observation and discussion. Download some of our online resources for use before, during and after a trip to the Zoo. Have you booked your education session? Sessions are FREE from 1 September to 28 February. To prepare your class for their education session, please download the relevant pre-visit information for this session. There are a number of spaces that can be used by school groups for lunches. If there is fair weather, we have abundant outdoor green spaces to use as picnic areas. If there is inclement weather, we have a Schools Lunch Room available for the use of school groups only. This cannot be booked and is on a first come first served basis. We also have wet weather shelters dotted around the zoo which you can use for lunch. Have your students take home a special ZSL souvenir as a reminder of their time at ZSL Whipsnade Zoo. Save time and hassle by ordering souvenirs ahead of time to be picked up in bulk during your visit at the main gift shop. Or have your order sent directly to your school. See our selection of souvenirs, terms and conditions, and order page for more details. 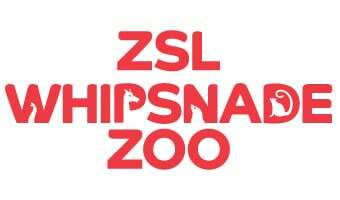 How to book your school visit to ZSL Whipsnade Zoo - by phone or online.